Discovering that there was only 1 male Northern White Rhino left in the world, and 6 of the species in total, was something hard for me to imagine. Hearing this made me unbelievably saddened, as our ability to cause so much destruction in the world is something I will never understand. 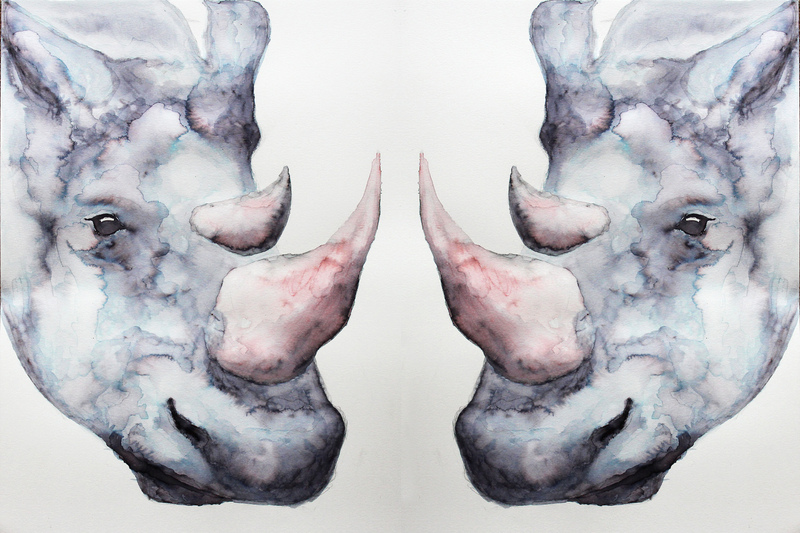 Issues like this often leave me lost for words, so in times when I am so affected by something, I turn to art, and decided to illustrate the Rhino. If you hadn’t heard of this news yet, then hopefully this post will help to raise some awareness. 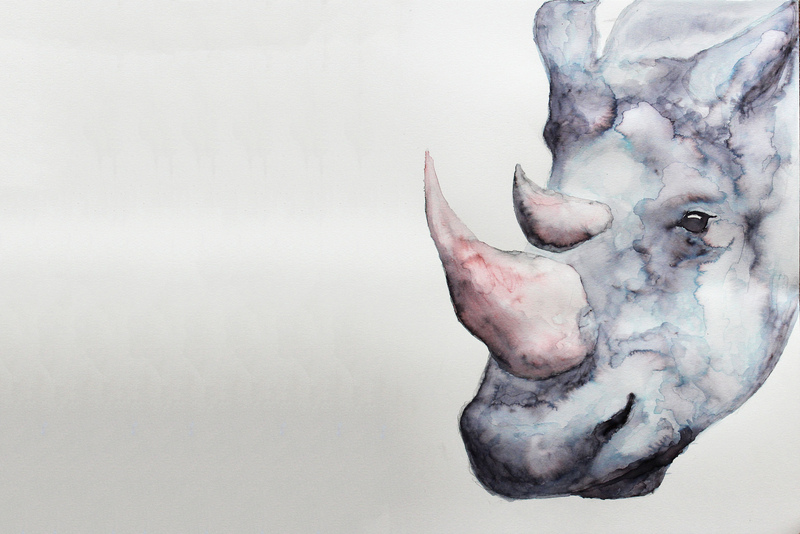 As myself, many others and our future generations are extremely unlikely to ever physically see a Northern White Rhino in the flesh, at least I have this drawing, which I can look at in hope for the other species of the world. Now when I see my drawing, I can remember how precious our planet is. For the earth to take care of us, we must take care of it. At this time, it can be hard to know what we can do to protect the Earth in it’s current state. The world’s issues often feel overwhelming, but just remember that any positive change has an impact. It is the accumulation of small things that create a large difference. So whether it’s eating less animal products, recycling more, or using more public transport, you will be helping the environment. View the time we are living in now as a turning point for change, try to remain positive, as things can get better. As for the Northern White Rhino, we must admire, respect and appreciate it while it still walks among us. 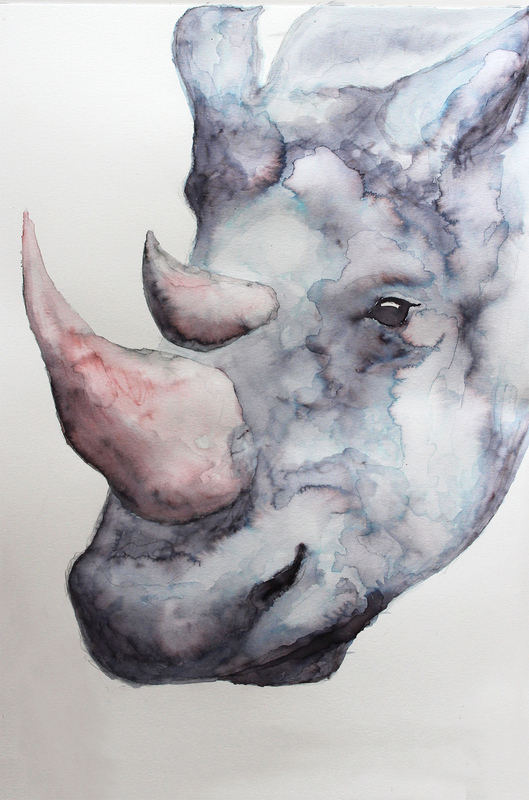 If you are interested in the conservation of Rhinos, and donating please visit https://www.savetherhino.org , or for more information on the Northern White Rhino please visit https://www.savetherhino.org/latest_news/news/1145_the_last_northern_white_rhinos . This is an amazing post supporting a very deserving cause. I have to ask – is this your work? It’s breathtaking! Hi Steph, thank you so much! That’s so kind! Yes it’s all my own 🙂 I’m so glad you like my work!